Andy Warhol based his Mao paintings, drawings, lithographs, photocopy prints, and wallpaper on the same image: a painting by Zhang Zhenshi that served as the frontispiece for Quotations from Chairman Mao Tse-Tung (known in the “West as The Little Red Book”) and was then thought to be the most widely reproduced artwork in the world. 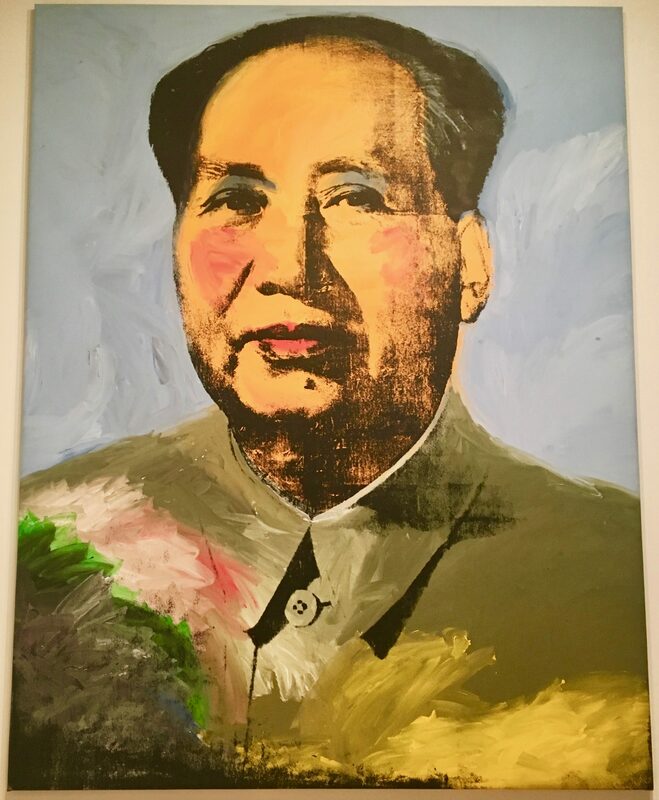 Warhol chose the image of Mao — then chairman of the Chinese Communist Party — after reading news coverage of President Richard Nixon’s trip to the People’s Republic of China in February of 1972, an unprecedented act of cold war diplomacy that marked the first act by a sitting American president to the nation, which at the tie was considered an enemy of the state. Photographed as Part of the Exhibit, Andy Warhol: From A to B and Back Again, at the Whitney Museum of American Art Through March 31st, 2019.